Remember the glory days of playing Super Nintendo on that classic gray controller with its signature purple push buttons? Yeah, we do too. 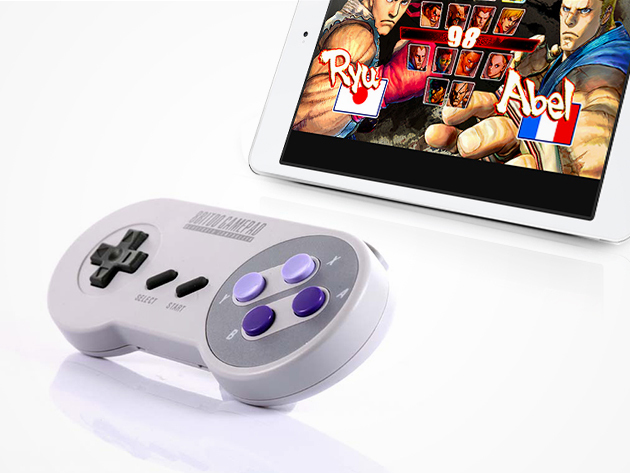 8Bitdo is bringing the 8-bit gaming vibe back with the SNES30, a 1:1 original design that supports both Bluetooth and USB connections. Connect with your favorite console or computer to play any modern or old-school game with arguably the greatest controller of all time.